I really love when I can see a real value in something. When something can fulfill different needs; when something is a real workhorse; and it if looks great while doing it, that is placing it over the top. When talking to a longtime friend of mine, I realized that her new business venture was of a product that met this description. Lilla Rose creates hair products, which I admit are a bit different then what I have seen before. On the surface it looks like a typical hair tie, but it is actually flexible. Made from what I understand as piano wire, it is sturdy; so it holds its shape and such, but it is also flexible so that it can catch your hair more like almost a net and then cradle it. This helps it to feel comfortable all day long. Another different feature is that the pin that holds it in place, is actually attached to the tie, so that is it never lost, and it is in the correct place every time to keep your hair in place. So, now what makes this a work horse, well, aside from the many different styles and looks, it also works great as a shawl pin. 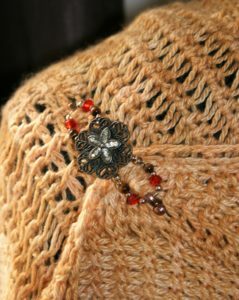 It adds a perfect locked in approach to keeping my shawl in place without slipping and sliding around. With the pin attached I know that it will not fall through or twist around. 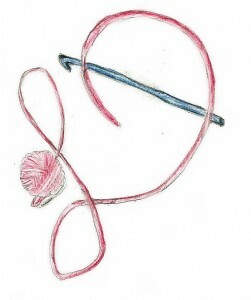 I know that when I put it in my shawl, it will stay. 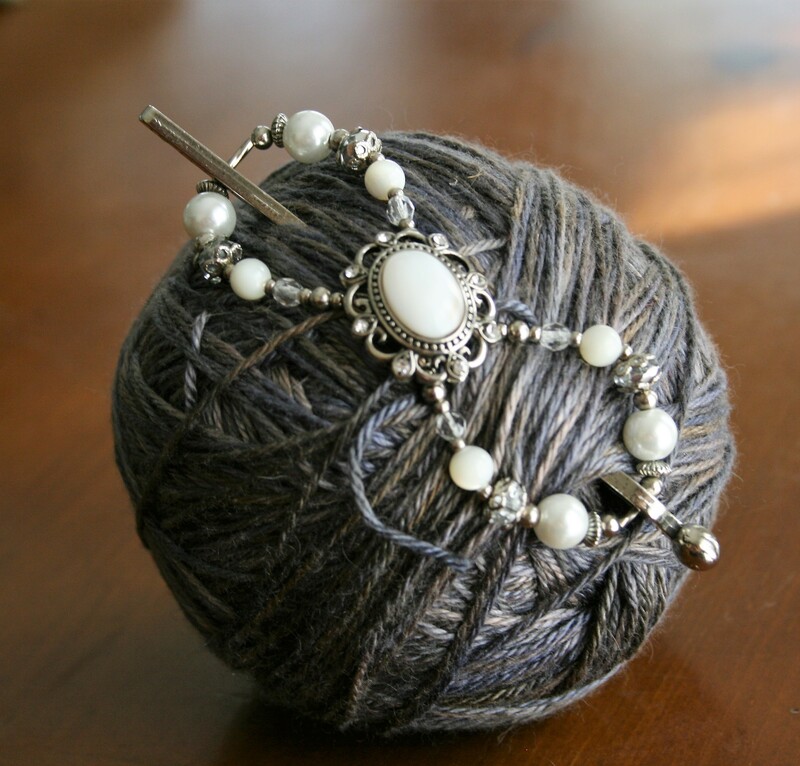 Then after some playing around I think I found my favorite latest use…holding my yarn balls in place. 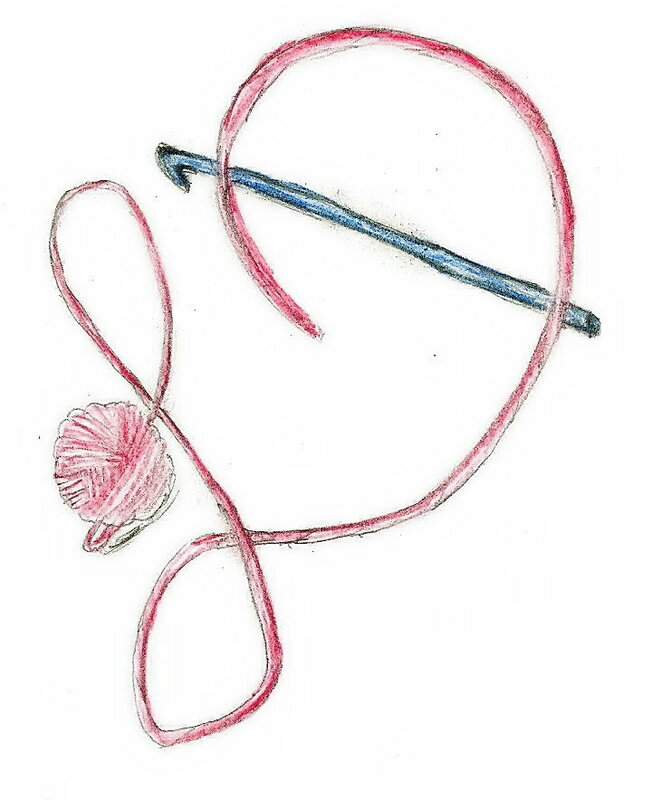 When I am working with multiple colors in the same fabric, it never fails…I get the yarn completely tangled and if I am using balls they are rolling everywhere. I can use multiple yarn bowls, but sometimes that is not practical as I am traveling with my work. 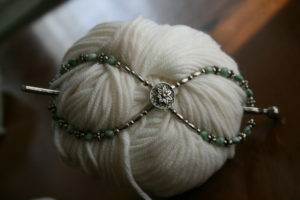 However these hair clips fit perfectly in the yarn, and prevents it from rolling, while securing the end where I want it. I know this might seem like a small thing, holding yarn in place, either on the ball or my shawl, but sometimes it is the small things that really make a difference. 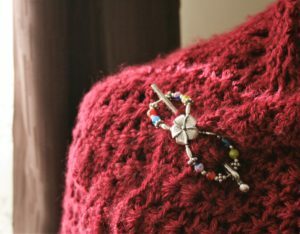 This entry was posted in Encouragement, website and tagged Crochet, dean, Design, friends, hair clip, hair tie, ideas, inspiration, lilla rose, linda, Linda Dean, linda dean crochet, shawl, shawl pin, skein, stitch, Stitches, twist, Yarn, yarn ball by webmaster. Bookmark the permalink.